South Jersey Behavioral Health Resources, Inc. (SJBHR) provides behavioral health services that motivate each person to achieve their personal goals in an environment that acknowledges individual differences, empowers personal growth, instills hope, and supports independence. Our dedicated employees demonstrate compassion and excellence in providing services to empower individuals on the path to wellness. Working at SJBHR is an opportunity for personal and professional growth. We support training and staff development, and are dedicated to improvement in all aspects of employment. We expect our staff to have an understanding of the importance of teamwork, professionalism and accountability; and to demonstrate compassion and excellence in providing services to consumers who have put their trust in SJBHR. South Jersey Behavioral Health Resources, Inc. (SJBHR) offers an excellent competitive benefits package. To apply for available positions, you can email your resume with a cover letter indicating the position of interest and salary requirements to hr@sjbhr.org. You may also click on the link provided to print out a job application. 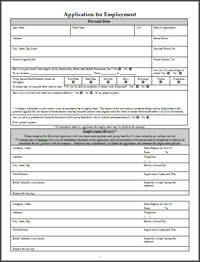 Once you have completed and signed the application you can either send it by mail or fax the application to the Department of Human Resources along with a cover letter indicating the position for which you are applying and a current resume..